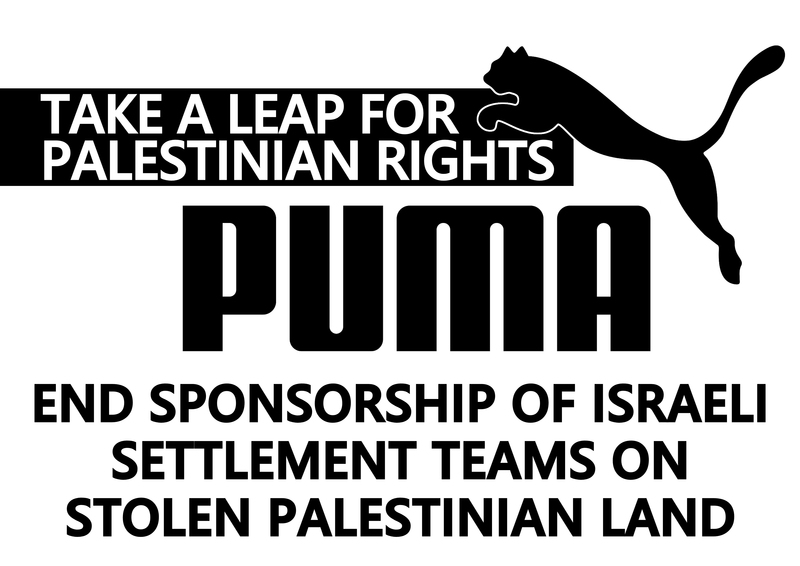 215 Palestinian sports clubs have written to the Israel football Association’s new sponsor, Puma, urging it to ditch the IFA due to its sponsorship of illegal clubs based on stolen Palestinian land. This follows the jettisoning of the IFA by its former sponsor, Adidas, as reported last month. The text below is also available at https://bdsmovement.net/news/more-200-palestinian-sports-clubs-urge-puma-end-sponsorship-israeli-teams-illegal-settlements.